Quick overview Intends to introduce students to the key topics in religion and film and to investigate the ways in which the subject of religion and film is developing for more experienced scholars. This companion considers films as diverse as "The Passion of the Christ", "The Matrix", "Star Wars" and "Groundhog Day". 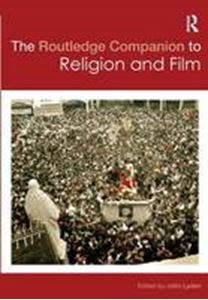 The Routledge Companion to Religion and Film brings together a lively and experienced team of contributors to introduce students to the key topics in religion and film and to investigate the ways in which the exciting subject of religion and film is developing for more experienced scholars. Divided into four parts, the Companion: * analyzes the history of the interaction of religion and film, through periods of censorship as well as appreciation of the medium * studies religion-in-film, examining how the world's major religions, as well as Postcolonial, Japanese and New Religions, are depicted by and within films * uses diverse methodologies to explore religion and film, such as psychoanalytical, theological and feminist approaches, and audience reception * analyzes religious themes in film, including Redemption, the Demonic, Jesus or Christ Figures, Heroes and Superheroes * considers films as diverse as The Passion of the Christ, The Matrix, Star Wars and Groundhog Day. This definitive book provides an accessible resource to this emerging field and is an indispensable guide to religion and film for students of Religion, Film Studies, and beyond.